Does this sound familiar, it’s raining outside – in fact it’s downright pouring – and before too long you come across a small wet puddle developing on the floor or carpet of your kitchen, the living room, just about anywhere in side the house. Your first inclination is to grab a bucket and catch the drip-dropping water from collecting on your floor and causing some major water damage. Hardwood floors can buckle under too much water pooling up and carpets will easily mold underneath if they sustain a lot of moisture. Hopefully you catch something like this happening sooner than later and avoid sustaining the kind of damage that leaks can pose. Of course, sliding an empty bucket or pot under the leak is only a temporary stop-gap. You need to get to the root of the problem and that means finding and fixing that leak fast. But if it’s still coming down out there, you can’t very well climb up on the roof and get to work. It’s not safe and this isn’t the kind of work that gets done properly in a storm. 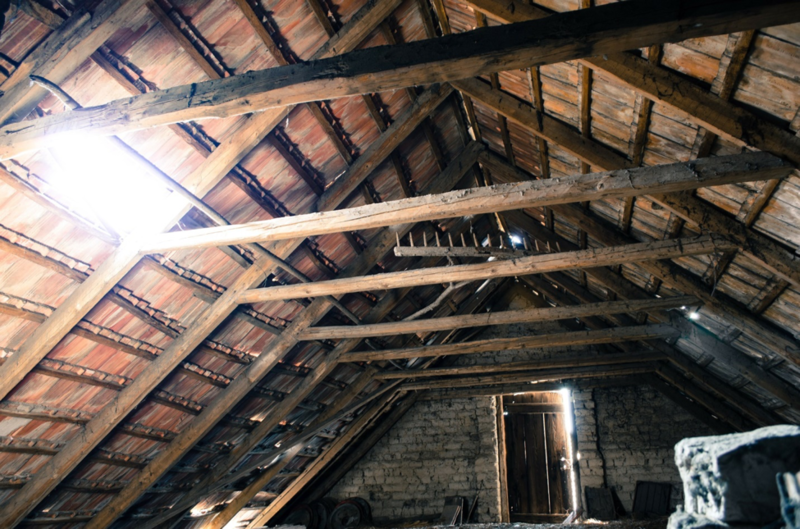 Your next best bet is to make the roof repair from inside the home. It’s not going to be a long-term solution to the issue but it can prevent the leak from doing any further damage and keep the rain out until the storm passes you by. Why Repair it From Inside? You may be wondering what’s so urgent about fixing the leak now and not just letting the bucket catch the incoming water. The truth of the matter is that any amount of water leaking in through the roof is only going to make the crack or hole through which its seeping even worse in a short period of time. The water that gets through won’t just drip to the floor and into the subsequent floors underneath, it could travel and soak into other parts of the home like walls and insulation, causing a huge mess that will only cost more to clean up and fix. The longer you wait, the worse it’s going to get, so it’s best you get to patching up that leak immediately. So stick your bucket under that leaking ceiling and get to work. You’re going to need to act fast so there isn’t any further water damage around the leak or beneath. Follow these steps to fix a leaking roof and you’ll have the problem solved in no time. If there’s a leak in the ceiling, the water is most likely coming from the roof up above. That means you need to head up into the attic and start looking for the source of the seeping water. You’ll want to start with pulling the insulation away from the drywall of the ceiling and look for puddles or pools that have gathered. You’re going to want to soak up that moisture to keep it from leaking through to the floors below. Be very careful about where you step and where you place your bucket, towels, and other tools you’ll be using, otherwise it could drop through the sheetrock. This is where you can make one wrong step and your foot can smash right in. Here is where you need to observe the surroundings in the attic to identify any drips or running water coming in from the outside. Roofs tend to slope on an angle and this can make it a bit tougher to diagnose where the water is getting in. Look closely at the rafters, the beams, the roof deck, the insulation, anything you can do to correctly identify the water dripping in will go a long way towards getting that leak patched up fast. After you finally locate the origin of the leak, you’ll need to find some way to stop the water from getting inside. You have a variety of materials from which to choose such as plywood or roofing tar. You may even have an extra shingle lying around that can be applied to the leak. Whatever you choose to use, apply it to the compromised area and close the leak so you can keep the water out entirely. Once the rain subsides, you’re going to need to fix the leak for good by dealing with the problem outside on top of the roof. In order to avoid having to try to search around for the compromised area outside, measure the location of the leak with a measuring tape. Decide on a landmark in the attic that can be easily traced outside and measure how far the leak is located from that landmark. 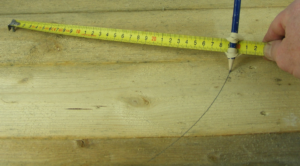 Once you get up on the roof, measure the distance from the landmark to the end of the tape and you should find the source of the leak rather easily. Now fix it with your roofing tar or a new shingle. PREVIOUS POST Previous post: Do You Have A Faulty Security System? Call a locksmith!